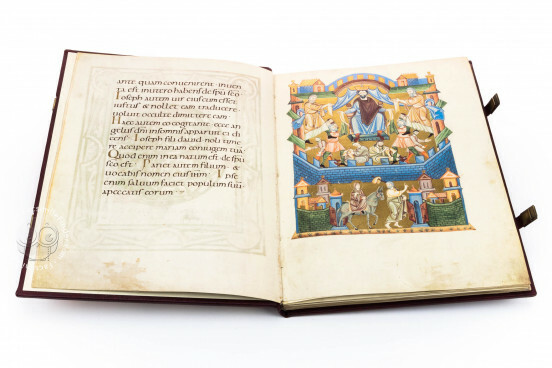 The Salzburg Pericopes provide an outstanding example of a manuscript in the tradition of Ottonian book illumination which is closely related to the Carolingian style. 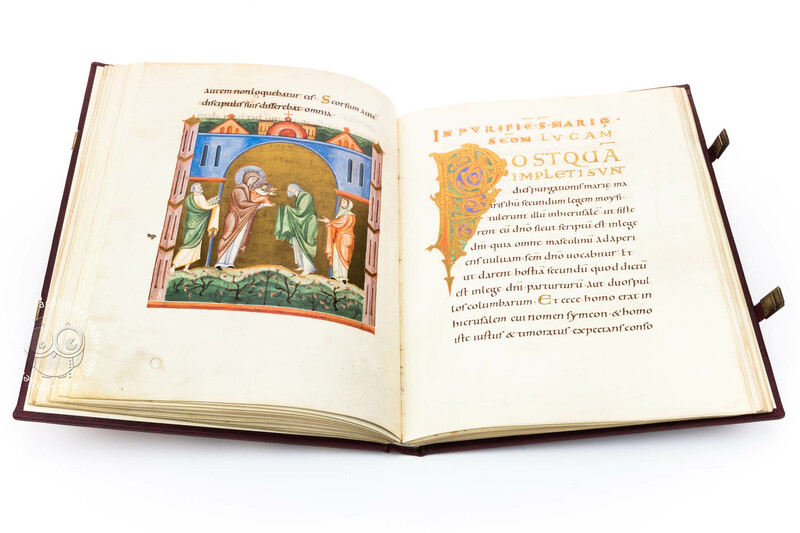 As all great manuscripts from the Ottonian period, the Salzburg Pericopes were created in a monastery. However, the Pericopes were not made on the initiative of an Emperor but on request of the high clergy, thus forming a counterpart to the well-known secular manuscripts of the time. 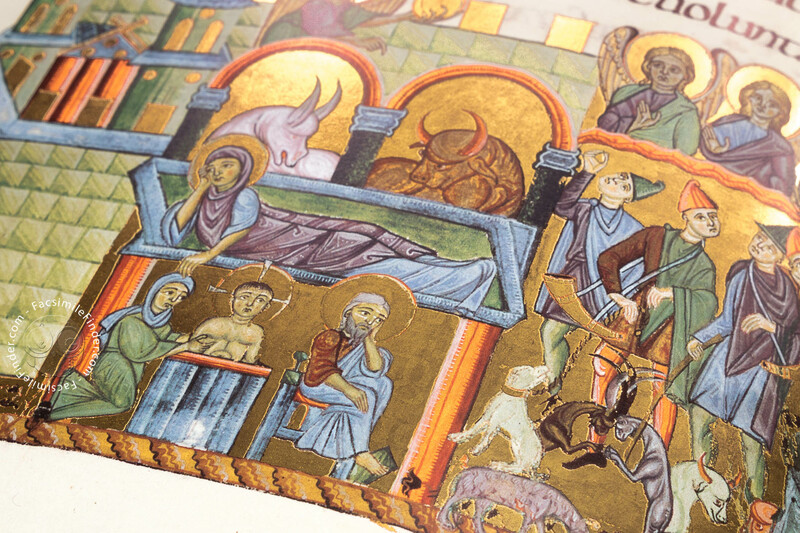 The extremely lavishly decorated manuscript may be considered as the equivalent of the Gospel Pericopes of Henry II, another important illuminated manuscript in the European tradition. Our Pericopes were probably executed around 1020 in Salzburg, during the reign of the emperor Henry II. They were obviously done for Hartwig, archbishop of Salzburg, and destined for liturgical purposes on selected high feast days of the Church year. 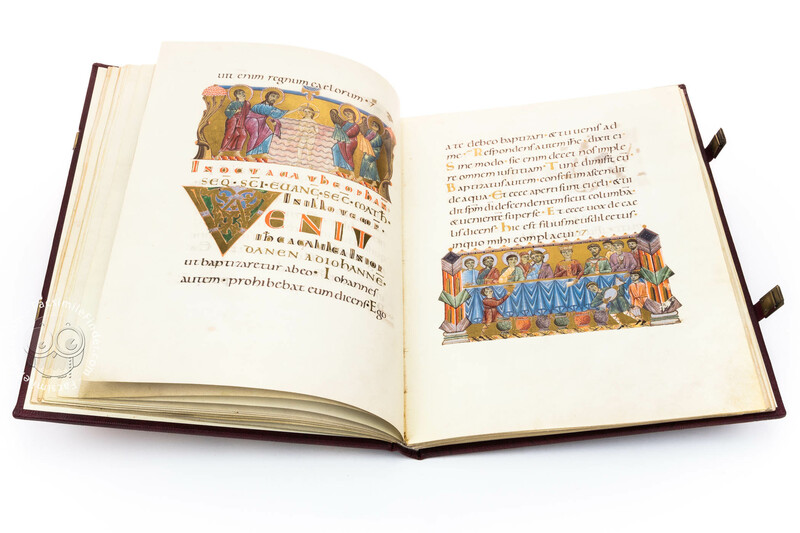 In contrast to a Gospel Book, this book comprises only the passages from the Gospels which are to be read throughout the ecclesiastical year, the gospel pericopes, thus making it easier for the priest celebrating Mass to find the proper text. 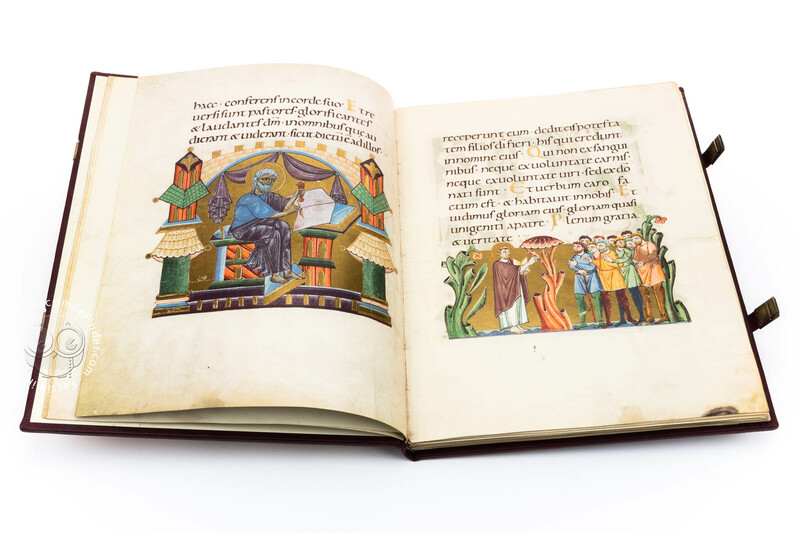 When Emperor Otto II married the Byzantine princess Theophano, this caused a wave of Byzantine influences in the Arts and Scholarship which in turn enriched book illumination with expressive gestures and Byzantine figure modelling. However, the scriptoria of Central Europe were also exposed to the influence of the remarkable Salzburg school, e.g. 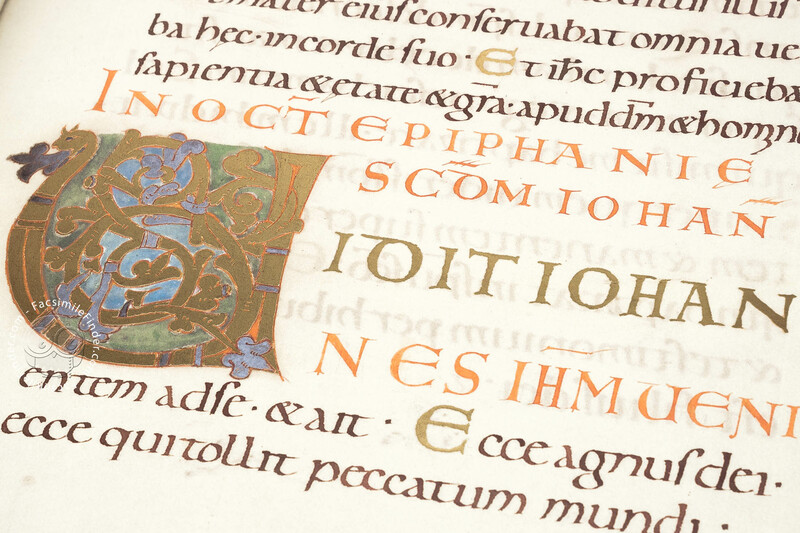 the Regensburg tradition in which spirit the precious works of St. Emmeram's Abbey, such as the Sacramentary of Henry II, were created or the Reichenau school whose rich production features highlights, such as the Reichenau Gospels or the Gospel Book of Otto III. In the Middle Ages the monasteries were considered the upholders of civilisation and there was a great mobility between them. 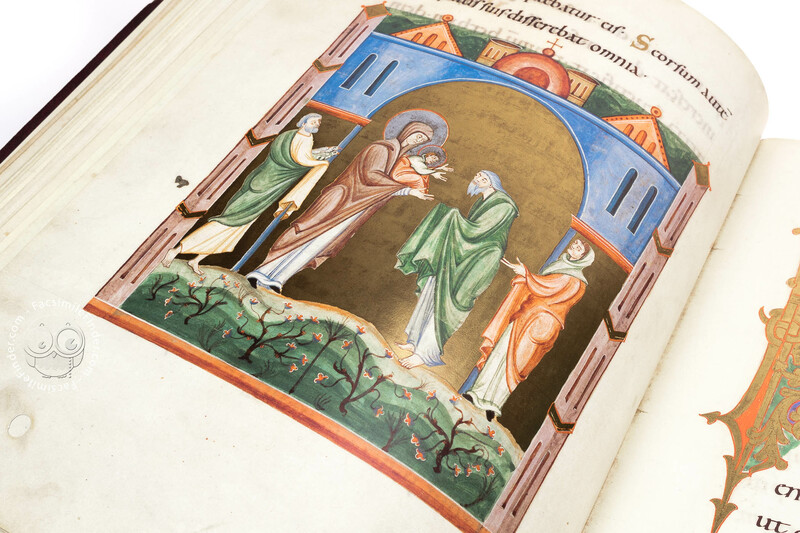 At the same time, the scriptoria in the monasteries organized exchanges of scribes and illuminators. 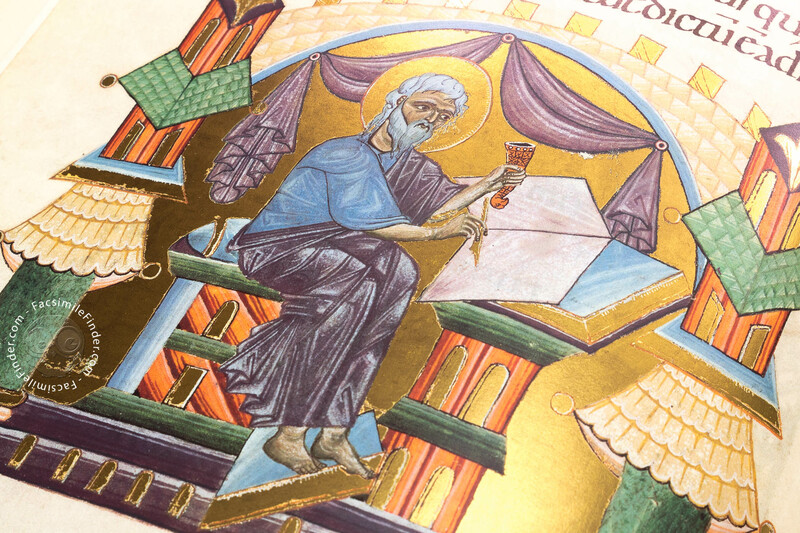 This led to the combination of influences from the most famous workshops with those of the new Byzantine movement and finally to the culmination of German book art of the 11th century in one work: the Salzburg Pericopes. Another important reason for the upswing of the Salzburg school was the institutional separation before the turn of the century of St. Peter's Abbey from the archdiocese and the election of an independent abbot. 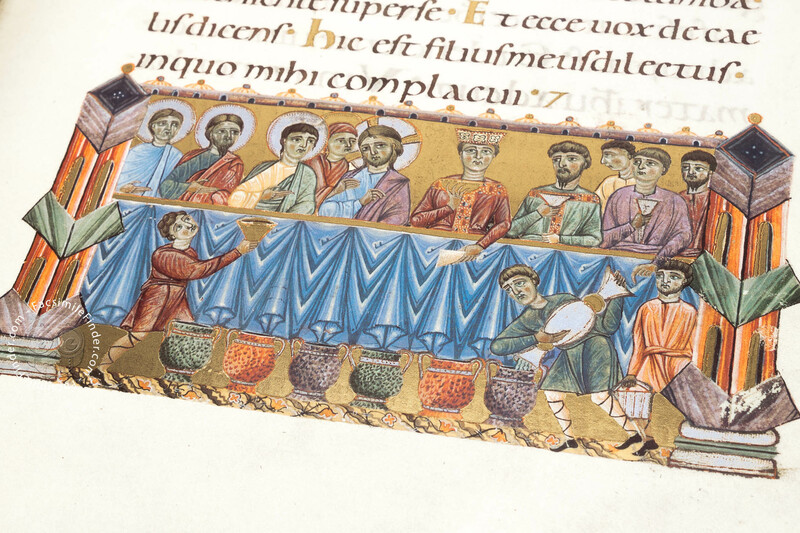 Shortly after that the scriptorium began to flourish again. Next to nothing is known about the fate of the manuscript, until the beginning of the 19th century. It neither appears in catalogs of books nor in library inventories. 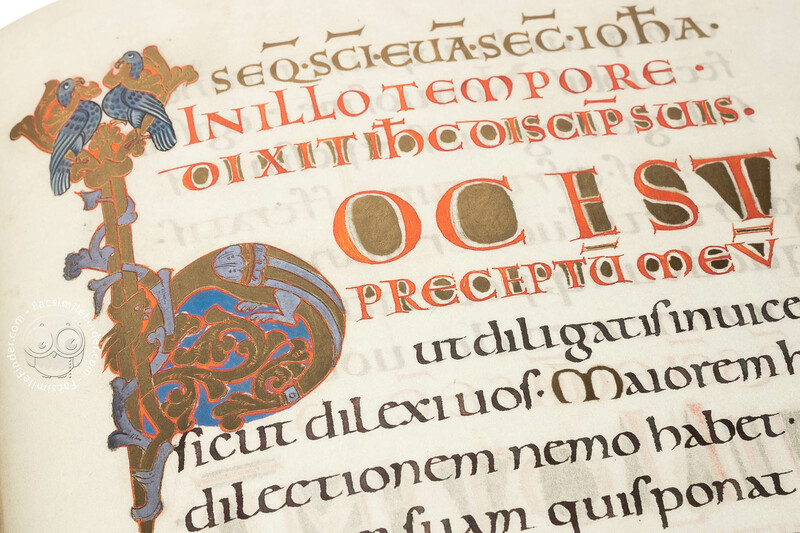 For this period, research has to rely on what is recorded in the manuscript itself. 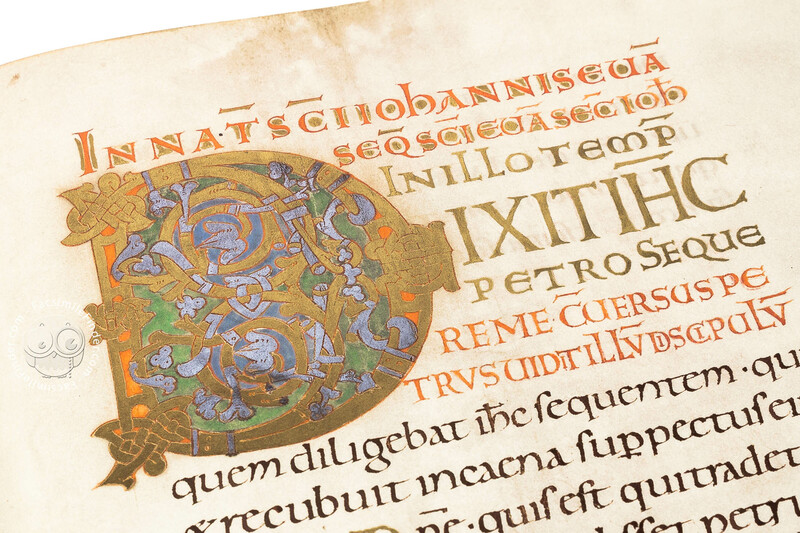 In 1800, when the French occupying forces had cast an eye on the codex, it was first listed in an inventory to trace the treasures of the Salzburg cathedral that had been taken to Paris. After Napoleon's defeat, the manuscript was moved to Munich where it is kept to this day (at that time, Salzburg belonged to Bavaria). 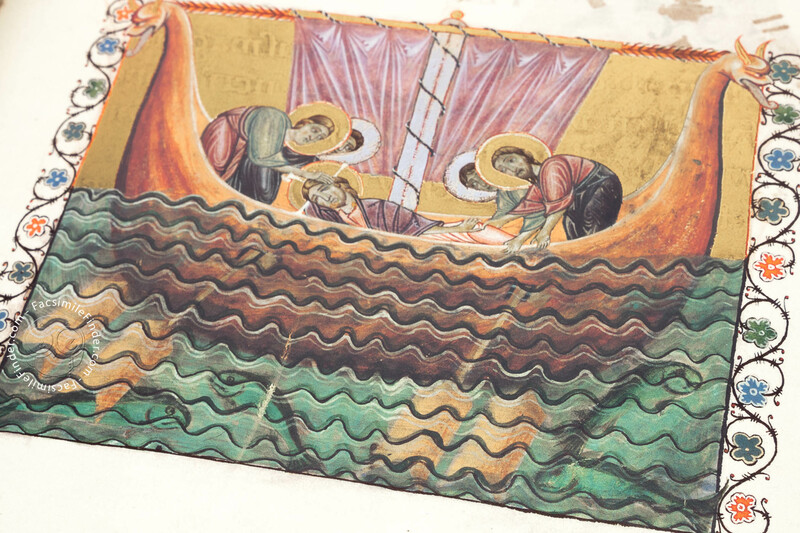 Overwhelming gold inlay or decoration is one of the main features of the Salzburg Pericopes: The beholder stands in admiration before the 19 gilded miniatures, one of the highlights of artistic creation at the time. 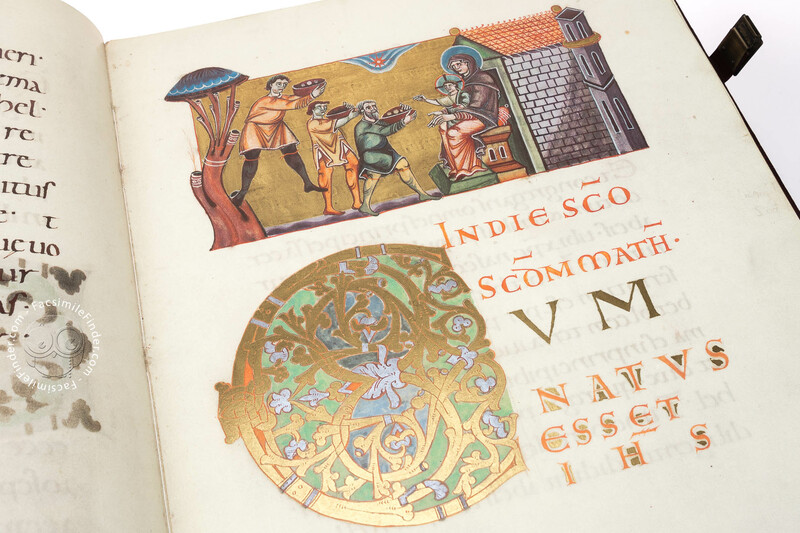 But also the 70 richly decorated luxurious initial letters and innumerable small gold initials within the text make this marvelous manuscript a true deluxe example of its kind. 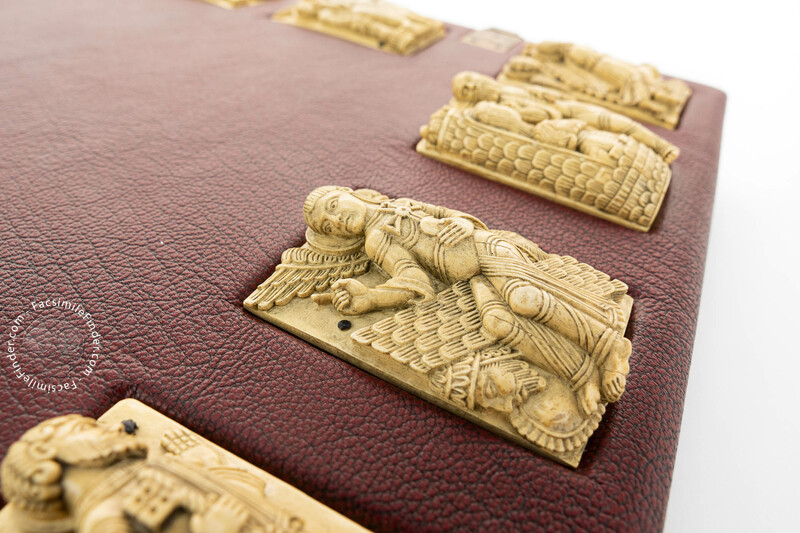 Twelve precious ivory tablets are embedded in the front cover of the red leather binding, most probably a work of the 11th century, which goes back either to artists from the South of France or from the North of Spain. Being the only examples of their kind having come down to us, these tablets were originally designed for a portable altar. However, we do not know when and how they found their way to Salzburg. Manuscript book on parchment − 37.2 × 29 cm − 140 pp. 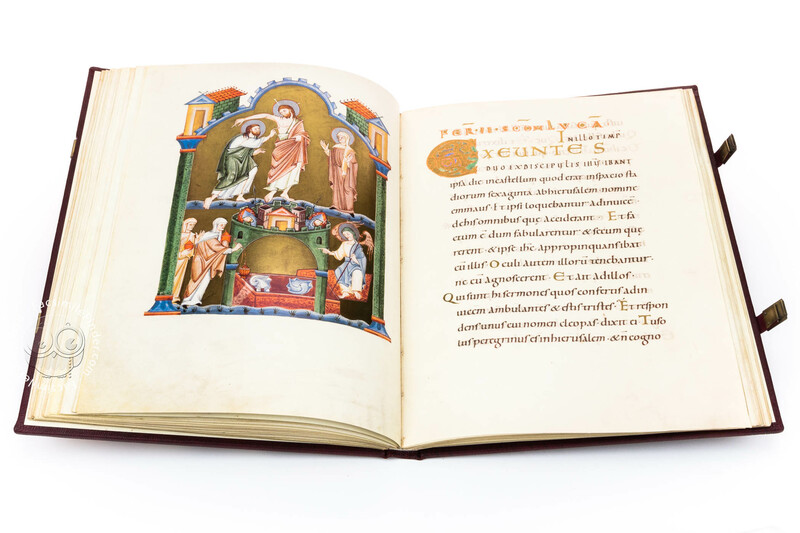 Full-size color reproduction of the entire original document, Salzburg Pericopes: the facsimile attempts to replicate the look-and-feel and physical features of the original document; pages are trimmed according to the original format; the binding might not be consistent with the current document binding. 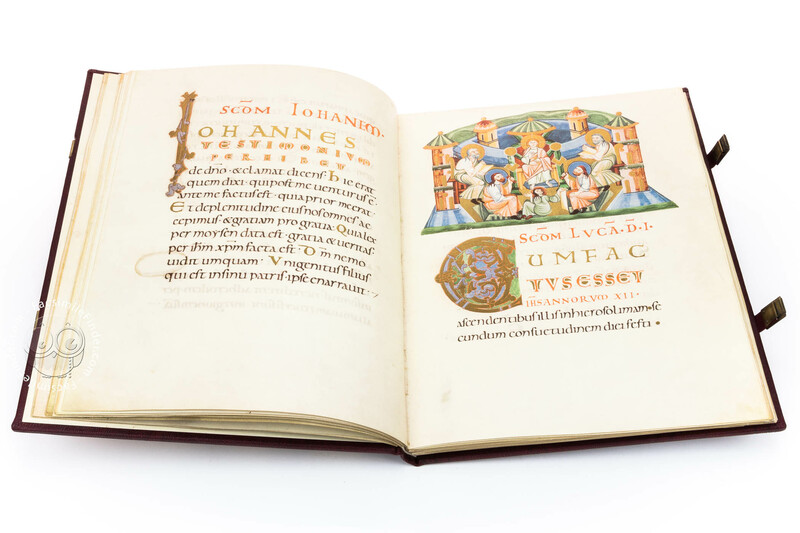 The facsimile edition of the Salzburg Pericopes was fostered by His Eminence, Dr. Franz König, cardinal of Vienna. All leaves are sewn together by hand. On 176 pages, the commentary volume explains the history of the Salzburg Pericopes in a number of comprehensive and interesting contributions by experts of international renown. Dark red kidskin binding, decorated with magnificent embossings and clasps. Salzburger Perikopenbuch (Deluxe Edition) by Faksimile Verlag. 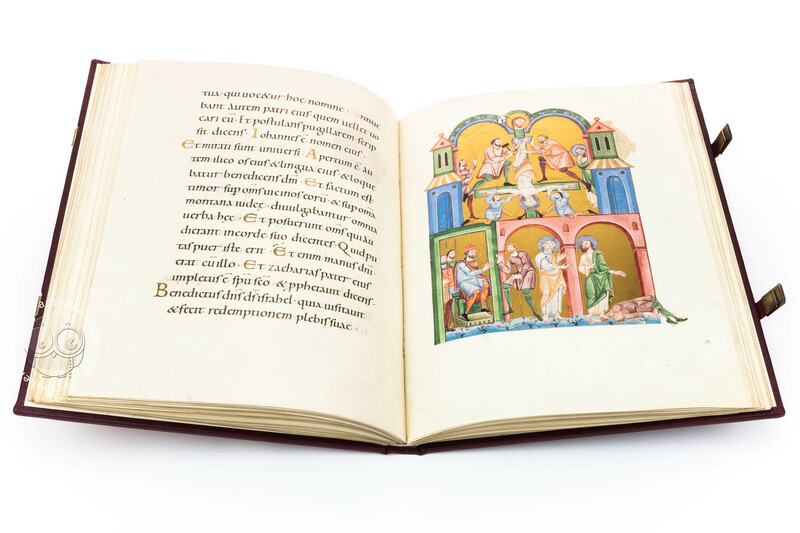 The facsimile edition includes replicas of the twelve magnificent ivory tablets in a faithful reproduction of the original binding in dark red kidskin with metal clasps.